Inmarsat’s Fleet Xpress, as selected by Lindblad Expedi- tions, provides high-speed, global, reliable coverage to remote regions of the world. 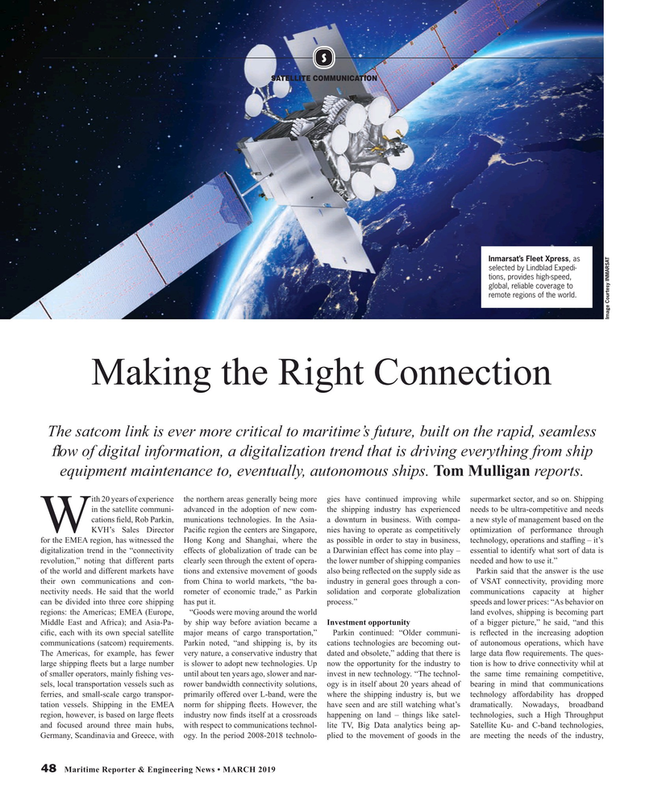 The satcom link is ever more critical to maritime’s future, built on the rapid, seamless ? ow of digital information, a digitalization trend that is driving everything from ship equipment maintenance to, eventually, autonomous ships. Tom Mulligan reports.